n the recent S.K.I.F. 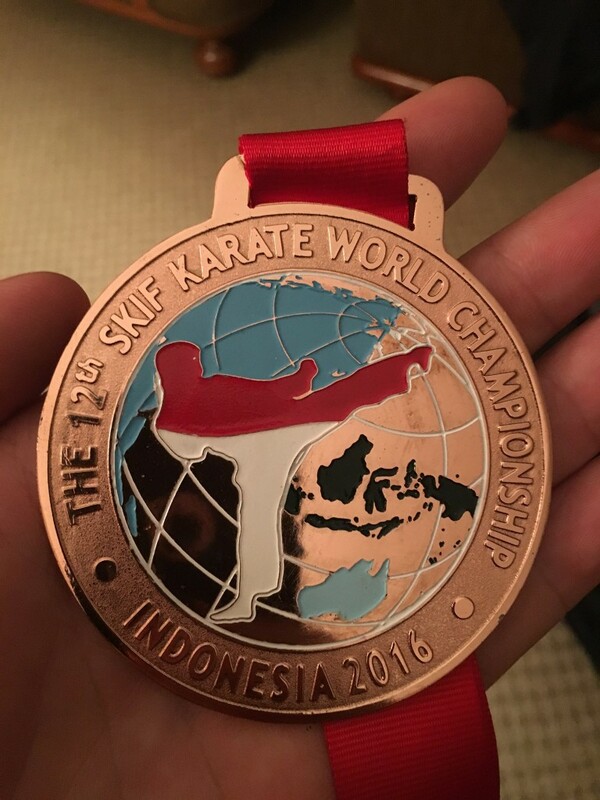 world karate championships held in Jakarta, Indonesia, local man Kevin Sullivan, won bronze in the Kumite (fighting section) of the Masters team section. Beating competitors from Japan, Mexico and Denmark to achieve this. 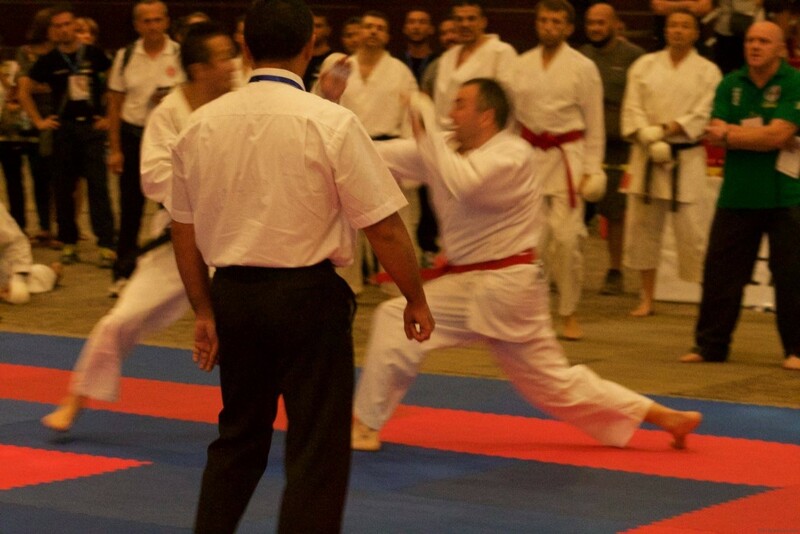 The Championships were held over 3 days (26th, 27th & 28th August), with 58 countries and >1000 competitors. It was opened by the vice president of Indonesia in the presence of all the leading senior Karate instructors from Japan. During the week, the Irish squad were also honoured with a reception at the Irish embassy with his excellency, Kyle O'Sullivan. Kevin then met the governor of Jakarta on the Wednesday before the competition for dinner. 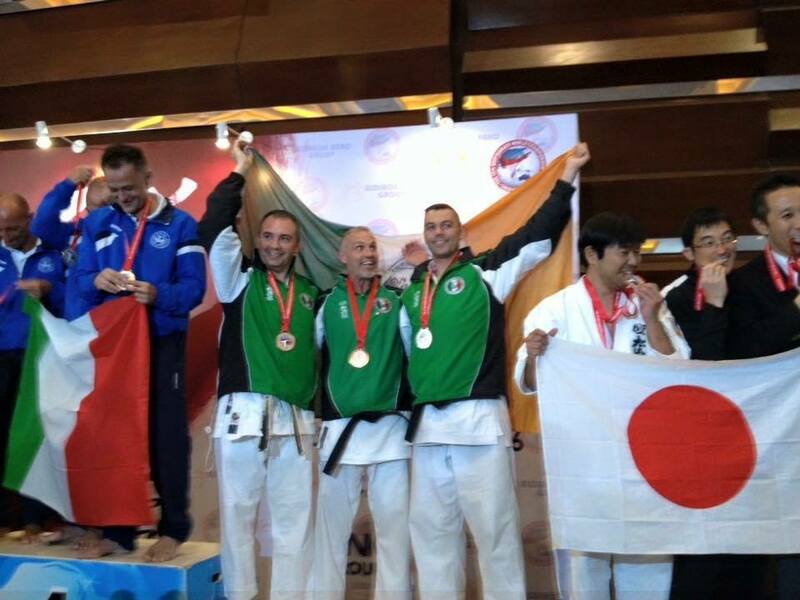 Overall, this was a very successful championship for Ireland with 1 gold, 2 silver and 6 bronze medals. The next world championships will be held in Tokyo in 2019.